We are a family owned and operated business in the South Bend, Indiana area. We have been here for over 50 years. We are a very successful distributor of some of the highest quality machine tools, and cutting products that our clients need. We supply manufacturers of steel machinery and technology components with the vast array of tools that they need to produce the products that our clients need. We work with a select group of parts suppliers, and then we resell and sell our own finished products to you. This has been a business model that has been hugely successful for us, as we have won multiple awards from many of our company’s suppliers for the volume of distribution and sales that we have been able to produce. Our clients use us for their machine parts and tools sales because they trust that our products are among the best in the market, utilizing industry recognized brands like ISCAR, Heidenhain, Toolmex, Pioneer and Kyocera. 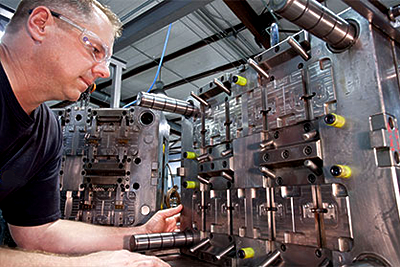 We work with some of the biggest names in business to bring to our clients the absolutely best possible quality of product for them and to maintain our reputation as one of the most reliable machine tool suppliers in the Midwest. We feel it is our duty and obligation to contribute to our community here in the South Bend, Indiana area. As a local business, we like to support good causes to give back. 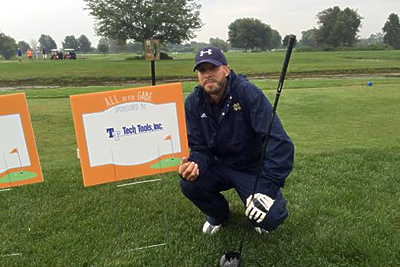 Here is a photo taken recently where our Vice President, Casey Binder, participated in a golf tournament supporting a great cause at the All in for Gabe! 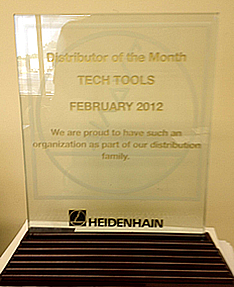 Proud Recipient of the Heidenhain Distributor of the Year Award in 2000, 2012 & 2014.